Denby stoneware is your personalised companion in the world of culinary delights. Denby tableware is the one of the world most beloved brands, and comes with many years of experience and expertise in the realms of dinnerware. Denby is strong, and is also dishwasher and microwave safe. Denby is a trusted name in crockery, and for more than 200 years they have delivered quality sets of plates, saucers, teacups, as well as so much more to the world. Denby is the one you can rely on, so browse our online store and discover many other options to choose. 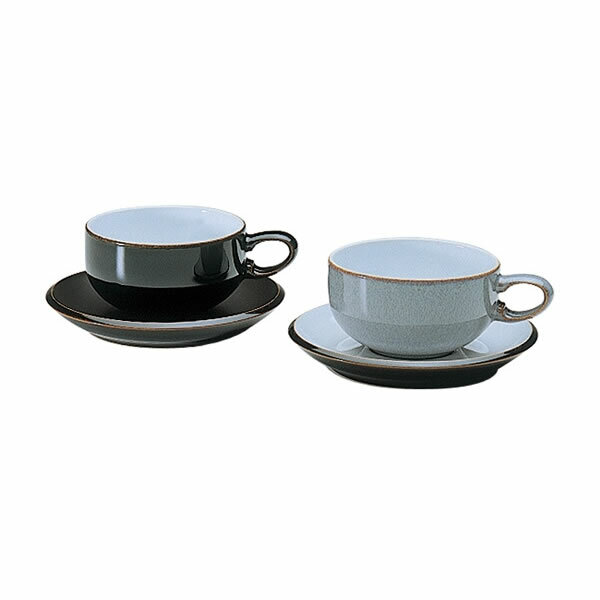 The Black Jet tea cup offers urban style that is well suited for home living, as the Jet collection combines matt and gloss finishes for a contemporary look with timeless appeal. 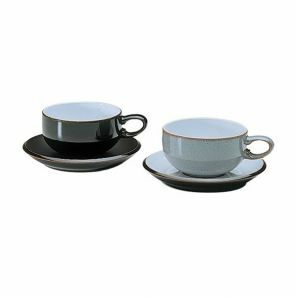 It does not matter if you are serving coffee or hosting a dinner party, Denby Jet adds eye catching style to any affair. If you like Jet, you'll also love Jet Dots and Jet Stripes. Choose Denby tableware and enjoy exquisite taste and timeless style.